The BlackBerry PlayBook has been available for nearly a year now, but there's still no version of the tablet with a cellular broadband connection. That might not be the case for much longer, though, as an HSPA+ version and two LTE versions of the 7-inch tablet have been submitted for approval to the FCC. 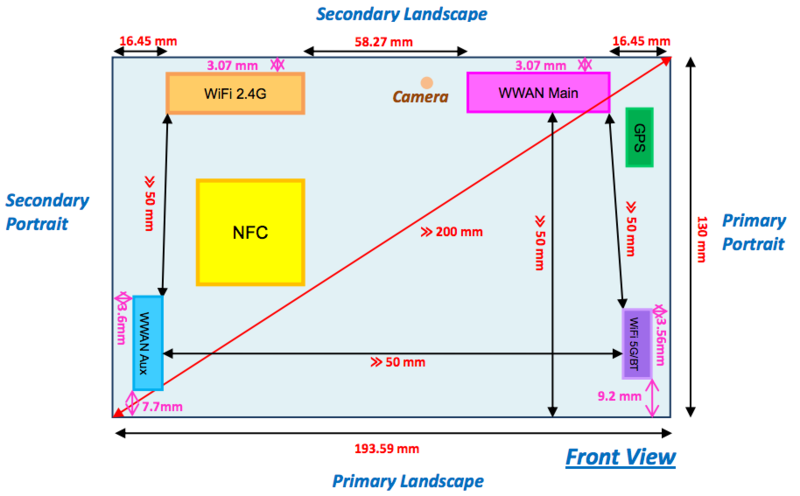 As usual with FCC filings, there aren't too many details, though we know that both tablets have Bluetooth, GPS, dual-band (802.11a/b/g/n) Wi-Fi, and NFC — a PlayBook first that we assume will be compatible with BlackBerry Tag. Additionally, one of the LTE versions will support the AWS and 700MHz LTE bands as well as HSPA+ on the 850MHz and 1900MHz UMTS bands, meaning it most probably will run on AT&T's network in the United States if ever released. The other LTE version has support for Verizon-friendly EV-DO and LTE Band 13. Lastly, the HSPA+ only version supports the 850MHz, AWS, and 1900MHz UMTS bands, so we'd expect this to be the international / T-Mobile variant of the tablet. While the tablets aren't called PlayBooks in the filing, they do share the same length and width as the current PlayBook, so they can't be the previously-rumored 10-inch Black Forest tablet. It's worth mentioning that the tablets have been in the labs for well over four months — they were originally received on October 28th last year.